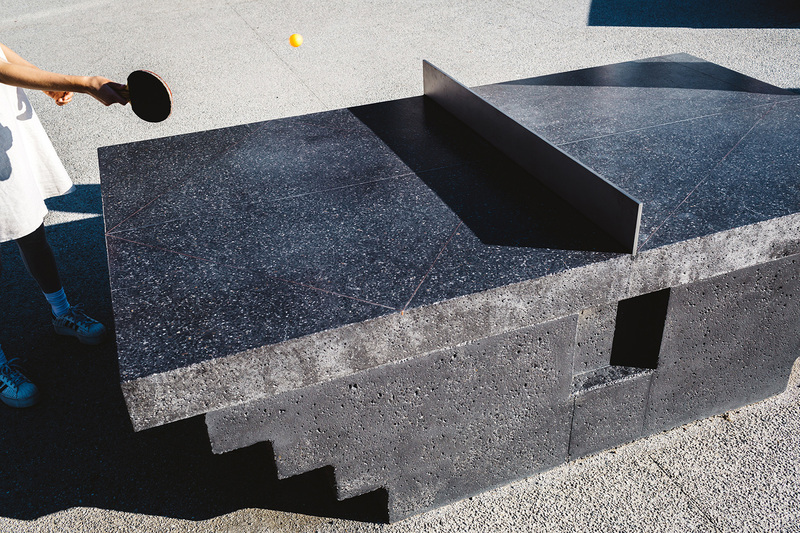 The Monolith is a ping pong table born from a collaboration between artist Laith McGregor and architect Murray Barker. This piece complements public spaces and social gatherings. Also, the main goal is to promote interaction between people in social spaces, even in the city, where time runs so fast people don’t even look at each other. The Monolith intends to change that. 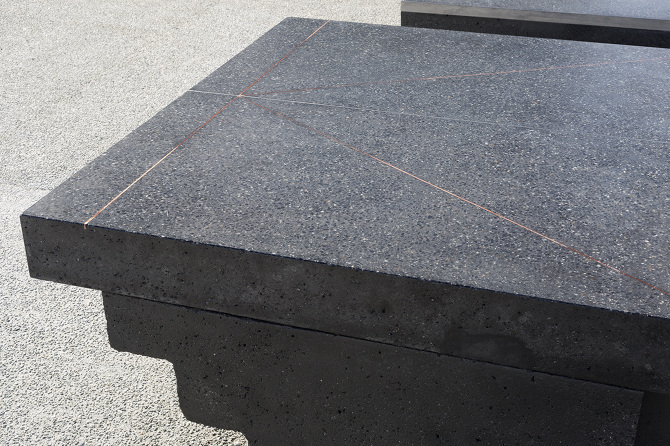 This piece features a mixture of concrete and stone aggregates, with copper inlays for ping pong’s regulatory markings. Not even the net is mainstream, as it is constructed from bead-blasted stainless steel. 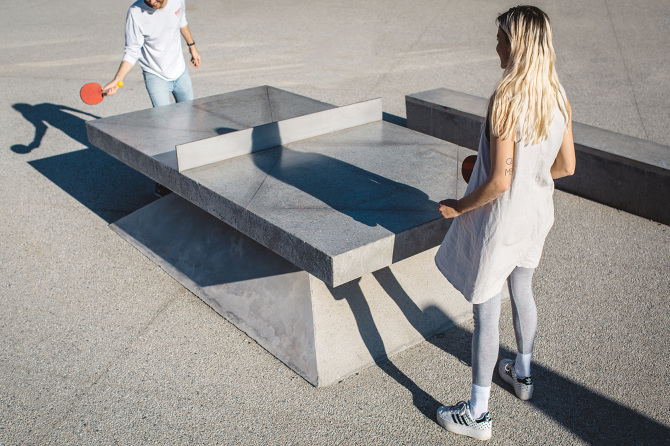 Most of all, the enigmatic, almost sculptural, compact tables are a reflex of today’s minimalist trend, that is seen is houses and public spaces. 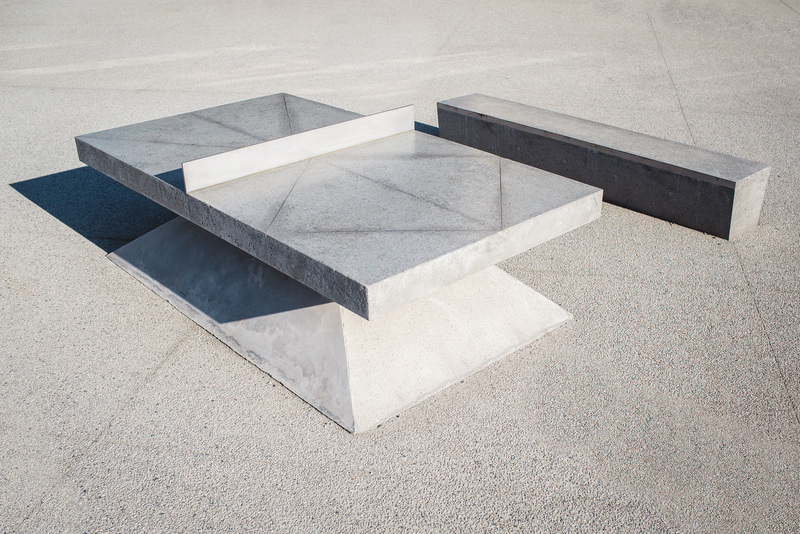 There are three version of the table, changing the table base and the colour of the stone. 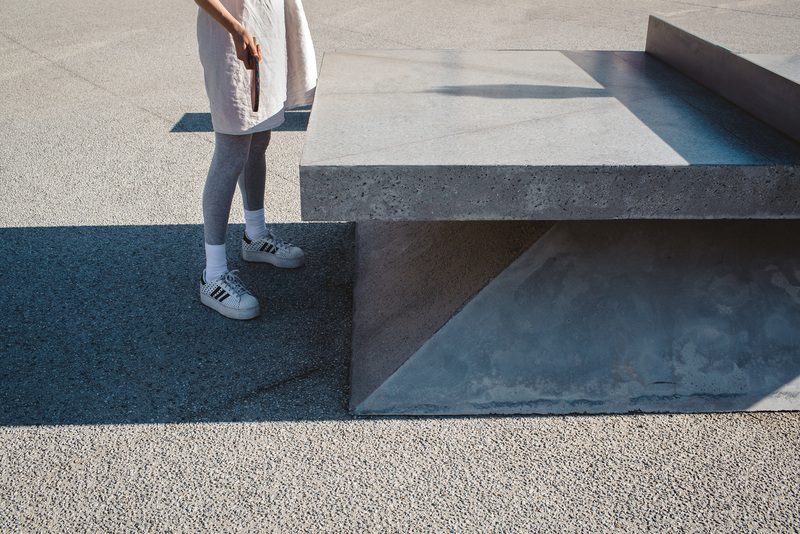 We believe that Monolith is not only a recreational item, but also a work of art. You can be purchase it in a set of 3 ping pong tables. Finally, we would definitely love to see something like this in our city’s gardens and parks.